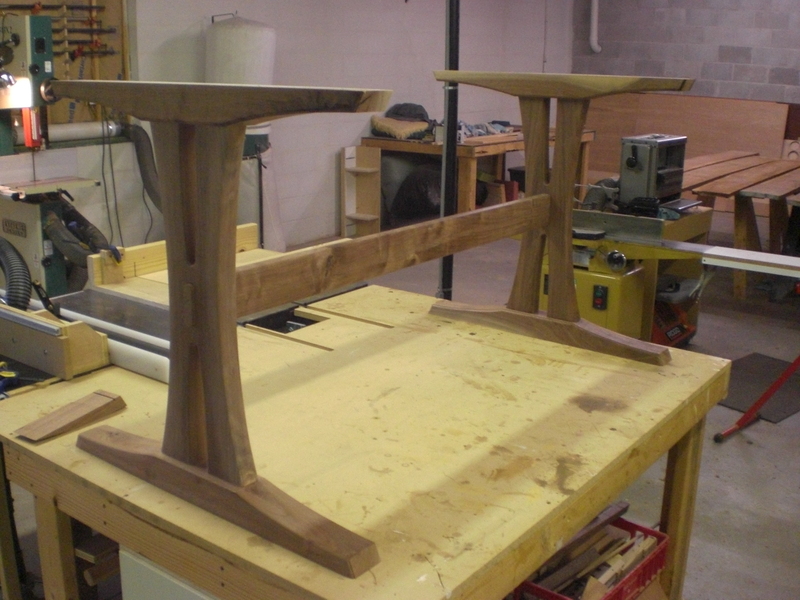 Trestle Table: Progress on the base. Despite being on baby watch for the last week, I managed to make some progress on the trestle base. I was hoping to be a father on father’s day this year, but it looks like no luck. 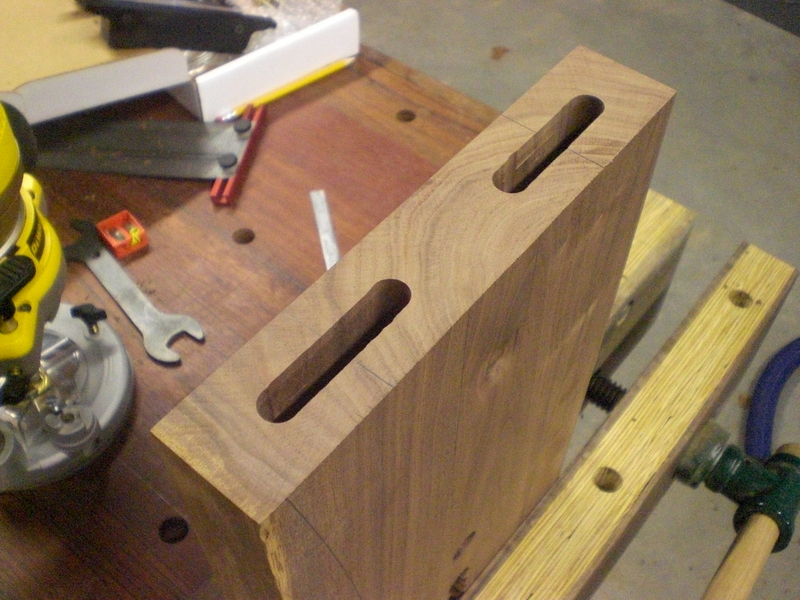 So I spent the last couple weekends in the shop rough milling components, cutting joinery and doing some initial shaping. 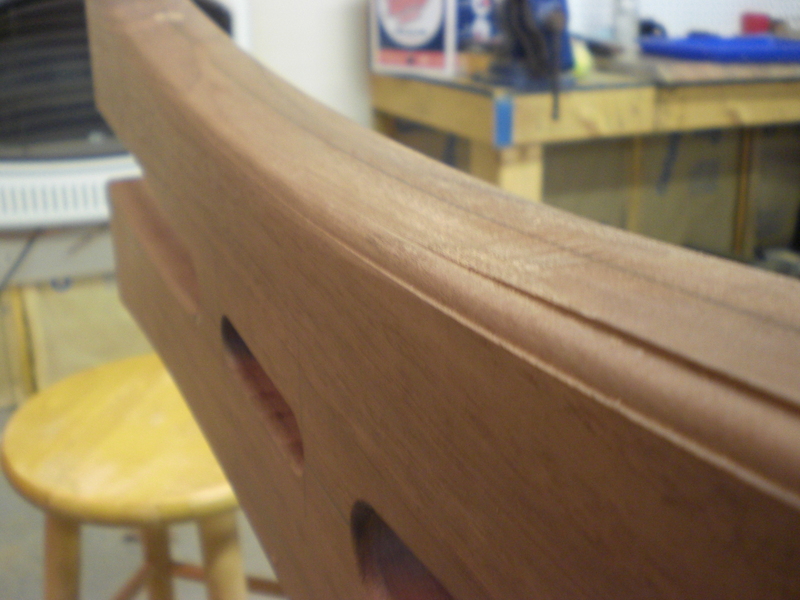 After milling out the basic blank for the sides of the trestle I laid out all the curves and the mortise for the cross stretcher. 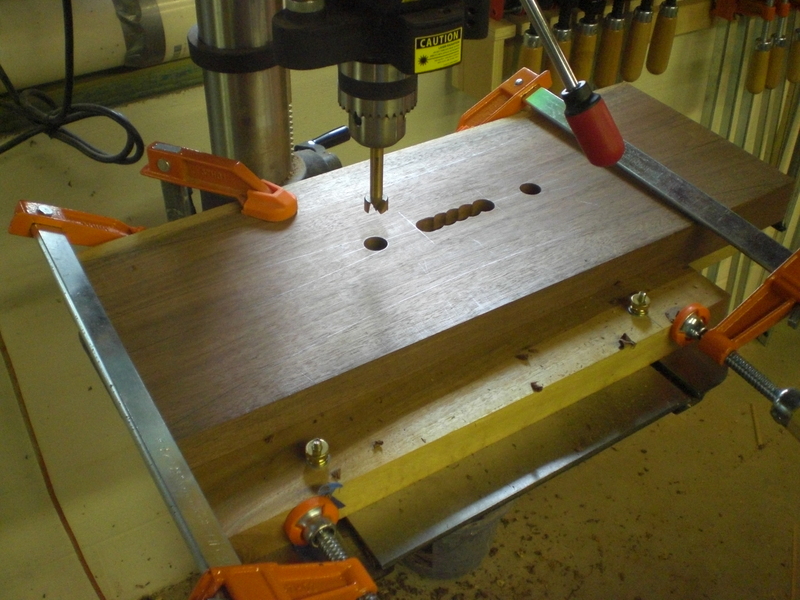 Before cutting the curves on the bandsaw I setup the drill press to hog out the waste for the stretcher mortise and the peak of the inner hyperbolic curves. 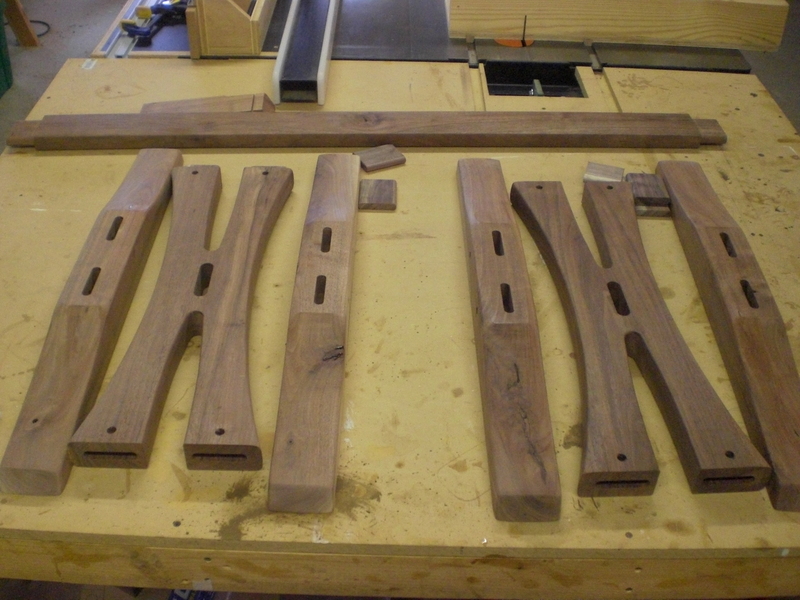 Next the 1/2 inch mortises were cut in all the trestle components for the loose tennons. After cutting components out on the bandsaw I faired all the curves with a combination of oscillating spindle sander and spokeshave. It’s at this point in a project when things seem like they’re moving pretty fast, but then reality sets in when your realize how much shaping and sanding there is still to come. I’m giving this piece a subtle pillowed look. 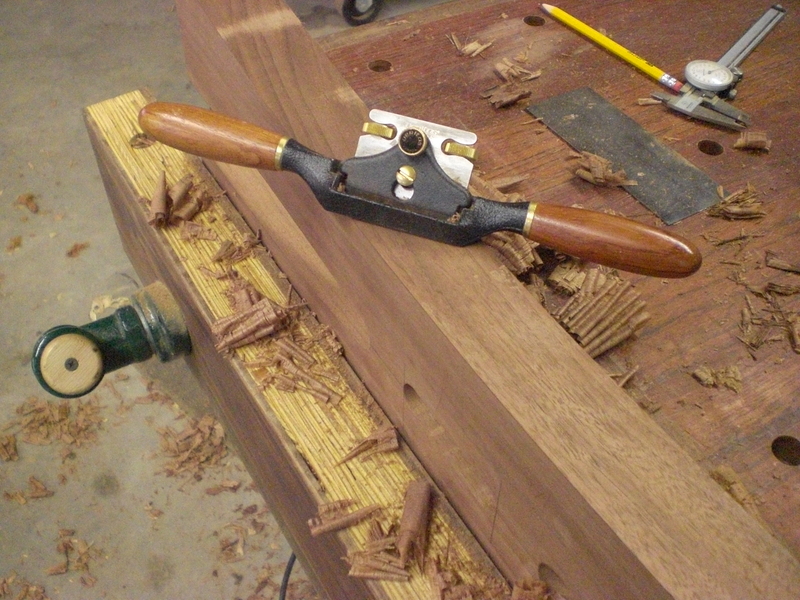 To achieve this I first used a small beading router bit to remove the bulk of the waste and leave two shoulders which I then blend away with the spokeshave. By the end of the day today I had gotten all of the initial shaping done. I’ll leave sanding to another day. One quick peak at the mocked up assembly! Filed under Project, Trestle Table.